For this months dram we go up to Aberdeenshire and to the picturesque village of Knock where sits the Knockdhu Distillery. The Distillery was closed in 1983 and then sold to Inver House (who are still the current owners) and production started up again in early 1989. This 12 Year Old is by far their most popular but if you check out their grand website you can find out more on the history and all the expressions available. 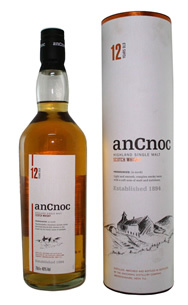 Originally their drams were named after the distillery but in 1994 they renamed their Whiskies anCnoc which stopped much confusion with Knockando Distillery. This fine Whisky is a gentle and aromatic dram, quite sweet with plenty of fruit notes, it can be enjoyed at anytime. The Whisky Boys always have a bottle of this in their cabinet. 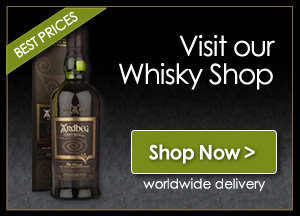 You should be able to purchase a bottle at the odd supermarket, but certainly on-line and at your specialist Whisky shop.